One of the best things about having a house is that you can enjoy having a cup of coffee on your patio. The ultimate relaxing method for the afternoons is to stay in a swing surrounded by family members, watching the sunset and warming your hands with a hot chocolate, or cooling with a glass of fresh lemonade, according to the season. That is what the patio offers you. It is also the right place where you can organize weekend barbecues or birthday parties when the weather is dry and sunny. The patio usually consists of a space covered with tiles and having simple furniture. Folding chairs and a table are very appropriate because they are easy to store and to carry to shelter when it starts raining to prevent them from damaging. If the patio has a roof you can purchase rustic furniture which will add charm to your backyard. Being an outdoor improvement the patio needs to be decorated accordingly. This starts with the tiles you use. They need to be durable, non-slippery and freeze-resistant. Being outside, tiles have to face several moods of the weather. When it is sunny they can suffer discoloration, when it is cold they can break if they freeze. The high friction surface is necessary to stay on your feet when you pass through the patio even if it is raining. Another case when this type of tiles is necessary is when the patio is situated close to the swimming pool. A smooth surface would become very dangerous when wet, but when you step on a rugged floor you are more likely to step confidently. That is why only certain Chicagoland tiles are suitable for your patio. Among them there are the natural stone, mosaic, ceramic or slate tiles. Natural stone is one of the best choices because it blends harmoniously into the landscape of your backyard. Its surface is not usually monochrome and it has asperities which make it safe to step on in any situation. Marble, travertine and limestone tiles are often the floor of patios. They are not only practical, but are also very beautiful and if they are protected by a layer of sealer they become extremely easy to clean. Natural stone in Chicagoland is the finishing touch your patio needed, offering you an elegant space where you can relax. 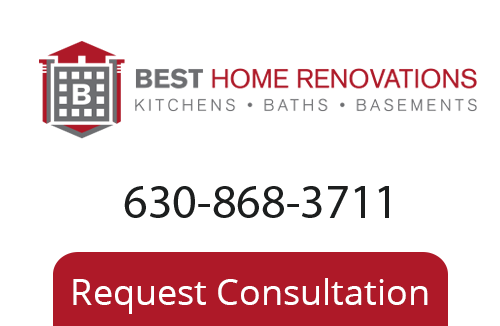 If you are looking for a Chicago Remodeling Company please call 630-868-3711, email us at consult@thebestreno.com or fill out our online request form.